The Jiu Jitsu system we offer at West Coast Martial Arts is Japanese-based, and works the five ranges of combat: projectile, kicking, punching, close quarters, and ground work. This program covers all areas of combat, including striking, throwing, take downs, clinch, close quarter combat, ground fighting, bone breaking, and joint locks. It offers a perfect blend of traditional and modern training, and provides a tremendous workout. Go Dai Henka Jiu Jitsu Ryu is a combative system that strengthens the Mind, Body, and the Spirit. The physical Body is strengthened by specifically designed workouts; the Mind is sharpened through endurance of flow drills, problem solving, and multitasking; the internal Spirit is cultivated through specifically designed, tested scenarios that will challenge and improve the intent and will to continue through stress and duress. The system draws upon the Body State and conditioning exercises of the 5 Primary Animals to forge the body: the Snake, Eagle, Bear, Gorilla, and the Monkey. These are utilized along with sound principles that are categorized into the Five elements: Earth, Fire, Water, Wind, and Void. 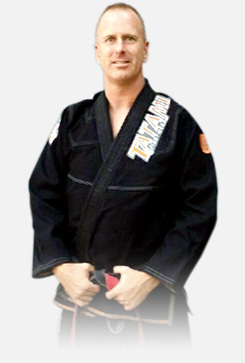 Our Go Dai Henka Jiu Jitsu Ryu system is taught in a safe progression, teaching sound principles and techniques that are constantly tested and honed.